This private 8-hour tour gives you the ability to plan the day your way, including a guide if that option is selected. Pick the vehicle that fits your group and explore the unique Japanese subculture, Manga Anime. You can choose to visit the parts of Japan most famous for anime and manga, Akihabara and Nakano. This tour is for those who want to see and feel the "otaku" culture. This is the ideal tour for die-hard Manga and Anime fans, visiting all the meccas, such as Akihabara, Nakano, and Harajuku, in order to experience Japanese pop culture. You choose the vehicle that is most suitable for your group, and visit many famous sightseeing spots during this 8-hour private tour. Enjoy the flexibility to customize the tour to what you want to see and do. Perhaps you want to feel like a local and shop Nakano Broadway which is full of manga, idols, figures and toys. 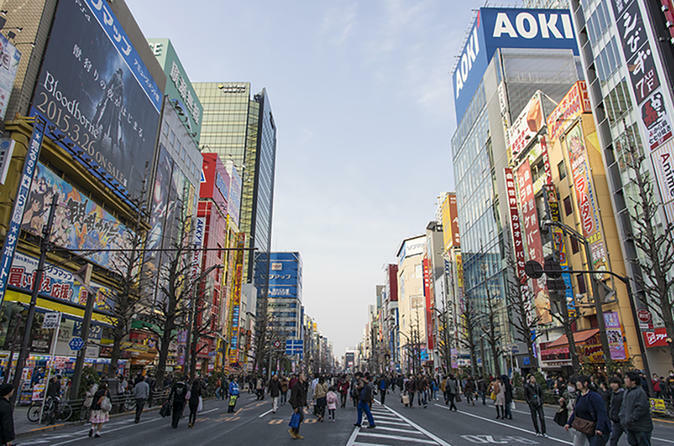 AkihabaraAkihabara is the center of Japan's Otaku culture with anime shops and maid cafes. Walking around, you might see some colorful people. Don't forget to visit HarajukuTakeshita Street, a focal point of teenage fashion and culture. If there are any specific spots that you want to visit, such as figure shops, manga stores or maid cafes be sure to put in the request.